The rounded body of the Pearlscale Goldfish looks like it is adorned with rows of luminescent pearls! Pearlscale Goldfish are very popular and can be found in collectors' tanks throughout the world. Their hardiness and ability to live in cold temperatures make them ideal pets. Instead of having the long, slender body of the Common Goldfish or the Shubunkins, the Pearlscale is one of the more rounded or egg-shaped fancy goldfish. They have a straight back with a swollen belly, resembling a golf ball. The Pearlscale Goldfish is usually twin-tailed with a very compact body. It can be easily recognized by its nacreous scales that have raised centers and dark perimeters. Arranged in rows, these distinctive scales look like pale pearls.This is the only variety of goldfish with these types of scales. The Pearlscale Goldfish can be found in all kinds of colors, including red, blue, black, calico, chocolate, and red/white combinations. These are one of the newer varieties of fancy goldfish. The first known mention of them is from the early 20th century. They have been developed largely in England where they first appeared in 1900. Today, there are more than 125 captive-bred fancy goldfish varieties. A variation of the common Pearlscale is the Crown Pearlscale or Hamanishiki Crown Pearlscale, which develops a hood or head growth similar to that seen on the Oranda Goldfish. Good tankmates are similarly shaped goldfish that are also slower swimmers, such as the Fantail Goldfish, Ryukin Goldfish, and the Black Moor Goldfish. These varieties all tolerate temperatures a few degrees above freezing, as long as the cooling drops only a few degrees a day. Their hardiness and ability to live at colder temperatures make them ideal for outdoor ponds. If you wish to keep these fish in a pond, make sure the environment is safe. In a warmer, well-maintained tank, even the less hardy Water-Bubble Eye Goldfish, Telescope Goldfish, and Celestial Eye Goldfish can be good companions. The Pearlscale Fancy Goldfish is one of the newer varieties of fancy goldfish. The first known mention of them is from the early 20th century. They first appeared in 1900 and have been largely developed in England. Today, domesticated goldfish are distributed world-wide. The Pearlscale is one of more than 125 captive-bred fancy goldfish varieties. The Pearlscale Goldfish is an egg-shaped variety of goldfish. The body is short, stubby, and compact . It has a straight back and swollen belly, resembling a golf ball, and it is usually twin tailed. This fish has rows of distinct scales with raised centers and dark perimeters. These goldfish will generally reach about 4 inches (10 cm), though some hobbyists report their Pearlscales growing much larger. The average goldfish life span is 10 – 15 years, though living 20 years or more is not uncommon in well-maintained goldfish aquariums and ponds. They can be found in all kinds of colors including red, blue, black, calico, chocolate, and red/white combinations. A variation of the common pearlscale is the Crown Pearlscale Goldfish or Hamanishiki Crown Pearlscale, which develops a hood or head growth similar to that seen on the Oranda Goldfish. Size of fish - inches: 4.0 inches (10.16 cm) - Pearlscale Goldfish will generally reach about 4 inches (10 cm) in length, but have been reported to grow twice that size in exceedingly well-maintained tanks or ponds. Pearlscale Goldfish are some of the hardier species of goldfish and can be kept by beginners. They are very undemanding of water quality and temperature. However, they can be easily damaged, as rough handling or contact with sharp objects in their enviornment can knock off their scales. Be careful even when netting these fish because lost 'pearl' scales will only grow back as regular scales. Some hobbyists suggest that providing additional calcium to their tank may help prevent the loss of scales, but that it is not yet documented. Aquarium Hardiness: Moderately hardy - The aquarist should use caution when netting this fish as the pearl scales are delicate and do not regrow as pearl scales. Some aquarists suggest that calcium-rich water is beneficial to this species. Since they are omnivorous, the Pearlscale Goldfish will generally eat all kinds of fresh, frozen, and flake foods. To care for your Pearlscale Goldfish, keep a good balance by giving them a high quality flake food everyday. Feed brine shrimp (either live or frozen), blood worms, Daphnia, or tubifex worms as a treat. Other vegetables like cucumber and lettuce are acceptable as well. It is usually better to feed soaked freeze-dried foods as opposed to live foods to avoid parasites and bacterial infections that could be present in live foods. Because of its unusual body shape, the Pearlscale is more susceptible to swim bladder disease and constipation. Any pellets or flake foods should be soaked thoroughly before feeding to prevent swelling in the stomach. Some aquarists recommend adding deshelled peas to their diet at least once a week to prevent and treat constipation. Flake Food: Yes - This fish is a slow eater, the aquarist should ensure that it is not outcompeted for food by swifter tankmates. These goldfish need to be kept in a well-maintained tank and given a proper diet to stay healthy. Minimum tank size is 10 gallons, so make sure water changes are frequent in such as small tank. Regular weekly water changes of 1/4 to 1/3 are strongly recommended to keep these fish healthy. Snails can be added as they reduce the algae in the tank, helping to keep it clean. Ten gallons is the absolute minimum required to house a Pearlscale Goldfish. It's best to start with a 20 - 30 gallon tank for your first goldfish and then increase the size of the tank by 10 gallons for each additional goldfish. Providing a large amount of water per fish will help dilute the amount of waste and reduce the number of water changes needed. Goldfish are a cold water fish and will do best at temperatures between 65 - 72° F (18°- 22° C). The Pearlscale Goldfish are one of the most hardy varieties of goldfish and can tolerate temperatures a few degrees above freezing, as long as the cooling drops only a few degrees a day. A quick temperature drop can kill them, so if you live in a very cold climate a heater is advisable. The Pearlscale should not be kept in water colder than 55° F (12.77° C). Most aquariums come with a cover that includes lighting. A cover for the tank is desirable as it reduces evaporation and though they are not prone to jumping, on occasion some goldfish will jump out. Lighting is not essential for goldfish, but it does make the aquarium a nice showpiece and lighting will help if you have live plants. Temperature: 65.0 to 72.0° F (18.3 to 22.2° C) - Goldfish can tolerate colder temperatures, but the Pearlscale should not be kept in water colder than 55° F (13° C). Along with the other egg-shaped goldfish, like the Fantail Goldfish, Ryukin Goldfish, and the Black Moor Goldfish, the Pearlscale Goldfish are slow swimmers. They cannot vigorously compete for food with fast swimming types of goldfish like the Common Goldfish, Comet Goldfish, and the Shubunkin. The Pearlscale will do best with similarly slow swimming tankmates. Pearlscale Goldfish are egg layers that spawn readily in the right conditions. They can be bred in groups as small as five individuals, but they are very social animals and likely to breed in larger groups as well. The only time Goldfish will spawn in the wild is when spring arrives. To spawn them in the aquarium, you will need to mimic the conditions found in nature. To induce spawning, the temperature can be slowly dropped to around 60° F (11° C) and then slowly warmed at a rate of 3° F (2° C) per day until they spawn. Spawning generally begins when the temperatures are between 68° and 74° F (20°- 23° C). Feeding lots of high protein food such live brine shrimp and worms during this time will also induce spawning. Feed small amounts three times a day, but don't overfeed. Uneaten scraps will sink to the bottom and foul the water. Maintain the breeding tank with partial water changes of up to about 20% per day. 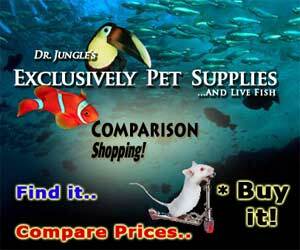 The Pearscale Goldfish is inexpensive and readily available in fish stores and online. One variety called the Crown Pearlscale has the iridescent scales of the common Pearscale as well as a crown atop its head like the Oranda Goldfish. The Crown Pearlscale is sometimes available and can be expensive. Hi I bought two pearlscale fish a week ago and one of them my little nemo sits at the bottom of the tank no eat hardly, hardly swims please help! My baby fish swims round and round with its head up is this normal? I have a pearlscale goldfish named sweetpea! I have had her about 3 1/2 years now and she has gone from swimming all over to just sitting in one spot on the bottom of the tank. She has developed these huge blister like bubbles on her and I don't know what to do. She is eating ok but I think she is a little constipated. The people at our local pet store have never seen anything like it before. I keep her water very clean and just recently added a bubble stone for more oxygen in the water. What can I do to get rid of the blister/water bubbles on her and help her swim again? PLEASE HELP! SweatPea, I have 5 pearlscales, they are a little over 2 yrs old. I just recently had to remove them from my outside deck pond for air bladder, parasites and blister on one of them. I used the Quickcure product and Eponsalt, the eponsalt is for constipation. Later I fed her "peas out of the can" squeezed the pea out of its skin. "all the fish loved the peas" as I now give them as treats. Oxygen is the most Important thing right now. All five of my pearlscales are living in a 25 gal tub in my home, with a filter, 4inch airstone. They were used to a 230 gal space to live in, but they are in for the winter. This winter is too cold and they were sick. My biggest is 5-1/2 oz. and the smallest is 4oz. I got them when they were just less then an inch big. Clean tank/ Quickcure/ Epsonsalt. Change water and treat as directed on Quickcure bottle. I have other fish (large fish) that are in the house now, and I have treated them for parasites, fungus ..They are all doing great but it takes a little work. I have had most of these fish for over 2 yrs. in an outside deck pond. This website really gives good information ..read and use the disease and treatment guide. The ulcers will go away on your fish as you treat her with quickcure. Good Luck! There is probaly to many bubbles in the water and there are large air pockets forming on her. Take the airstone out and fill up your tank so that the filter dosen't produce to many bubbles. I am just curious if i can mix oranda with pearlscales??? They can be good together, because they are both egg-shaped varieties and slower swimmers. I keep platy and whitecloude mino. With zebrafish. And 1 weatherloach. In cold water.